A Little Winter Weather Didn’t Hold Back our Busy February! February may be the shortest month but it’s always packed with activities and yet somehow always seems like the longest month to get through. We had a very busy, productive February. Between the snow, ice, warm days and cold days we were able weather all the ups & downs with just some minor cancellations. As we noted in a previous post, we were able to celebrate Valentine’s Day with our Soup Line guests. Everyone had a great time – especially the lucky guests who walked away with some Valentine’s themed prizes! The kids who attend Wildside parties had a great Valentine’s celebration – also just a week, late thanks to another winter storm. But even with the delayed event, over 50 excited kids decked in red & pink swarmed the Trinity Center for an evening of games, food, prizes and socializing. Adrian, Director of Wildside, also presented the kids with a great interactive lesson about conflict resolution and dealing with problems in a Godly way. At the end of the night, the kids wearing the most red & pink all won special prizes plus one lucky gal won a giant Kit Kat!! Wildside hosts large themed parties like this each month during the school year. In addition to these events, Wildside Youth hosts Sunday Night Wild a couple times a month plus each summer they host Camp Wild which is a four week day camp for kids in Hagerstown to attend for free! Learn more about Wildside Youth by visiting http://www.wildsideyouth.com. One new thing that happened in February was our first in a series of meetings with some local pastors. On the 19th we had about 10 pastors join us for lunch and a tour of our facility. Several of our employees joined us to talk about their respective ministries at The Hope Center and give our pastors a deeper understanding of the various programs and services we offer the public. Following the lunch we took the pastors on a tour of our buildings where they could see the ministry at work. We were so thankful for the pastors who joined us and got a connection with our ministry. The local church is our strongest support system in so many ways, but many people in the community, including church leaders, don’t totally know or understand how much we do each day for the community. And as churches donate financially or through other donations like food or gently used items, we wanted the leaders to see what their contributions to our ministry are doing. After talking with the pastors we are so encouraged by the renewed commitment from churches in the area to partner with us to do God’s work of reaching the least, the last, and the lost. We will be having more meetings like this throughout the year with many more pastors. If you’re interested in seeing or knowing more about our ministry, please contact us. It’s one thing to read about what we do or even glance at a picture here or there. It’s a totally different experience to actually see it in motion. 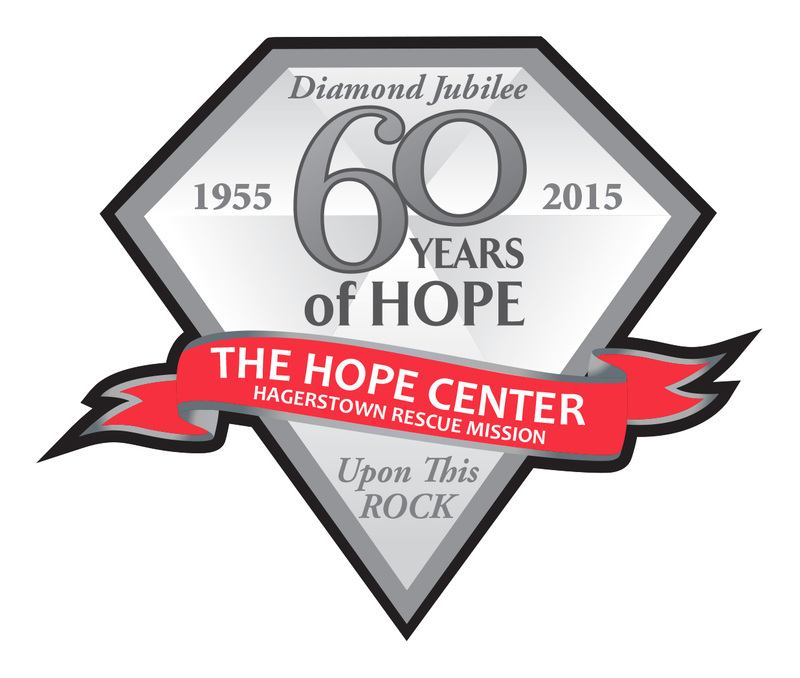 To get basic info about The Hope Center and all our programs and services please visit http://www.hagerstownhopecenter.com. If you’d like to talk to someone about seeing the ministry first hand please call 301.739.1165 or email us at hagerstownrescue@verizon.net. We hope your February was as wonderful as ours! And as this month comes to an end we are excited about all the upcoming activities planned for the spring, like Wildside’s St. Patrick’s Day party on March 5th from 5-7pm in the Trinity Center. This event is free for kids ages 5-12 so call 301.739.1165 or email info@wildsideyouth.com to register. Another big event we’re excited about is our upcoming Rock the Run: Pirates vs Princess 5K on April 27th at Fairgrounds Park in Hagerstown. This is a great event for people of all ages and athletic levels. Whether you are a seasoned runner or someone who just likes a good stroll, our 5K is perfect for you, your entire family, friends, church, civic group or coworkers. We have a kids One Mile Fun Run that takes place prior to the 5K plus activities for kids during the 5K so bring the whole family! Go to http://www.rocktherunhagerstown.com to register and learn more about the event. And don’t forget to grab your hook and eye patch or your favorite princess outfit for our race! Embrace your inner pirate or princess and join us for a fun activity to race support for The Hope Center! Spring Fever Has Us Ready to Run! Who else is loving this wonderful break from the bitter cold of winter? This wonderful spring weather has us all excited for our upcoming Rock the Run 5K! Our 5K run/walk is on Saturday, April 27th, at Fairgrounds Park in Hagerstown. Registration is currently open and only $20 until the end of February. And we’re bringing back the pirates vs princess theme for 2019 so be sure to grab your favorite eyepatch, tiara or costumes for a fun run as swashbucklers or royals. This is a perfect event for your family, coworkers, church group, and scout troop. Run for a good cause and have some silly fun as pirates and princesses as you do it! We’re also hosting a kids One Mile Fun Run so be sure to register your little runners! Proceeds from Rock the Run 5K go to the various programs and services we provide to the homeless and hungry in our community. In fact, we are currently in the beginning stages of a huge refurb and expansion project to our entire food services program which would give us an up-to-date kitchen, large pantry, and an expanded dining room for all of our residents and community guests who come to our multiple daily meals. Go to http://www.rocktherunhagerstown.com to learn more and register. Again, registration is only $20 until February 28th and then will be $25 starting on March 1st. Spread the word and invite others to join you as you run to help end hunger in Hagerstown! Yo Ho, Matey! It’s Talk Like a Pirate Day! Everyone loves a pirate and a lot of us would love to be one. But unless you work at Disney World, talking like a pirate on a regular basis might draw some funny looks. Fortunately for all the wannabe scallywags out there, there are two days out of the year where it’s absolutely ok to be a pirate – and one of those days is today! It’s Talk Like a Pirate Day!! And the second pirate day, you ask? Well it’s our annual Rock the Run 5K: Pirates vs Princess! One Saturday a year Fairgrounds Park is overrun by pirates, princesses, knights, mermaids, and more running for fun and a great cause. On Saturday, April 27th, 2019, anyone and everyone can dress up, act, and run like a pirate! This is your chance to show your pirate side and raise money for a great cause – helping us combat homelessness and hunger in Hagerstown. We’re currently in the beginning stages of renovating our kitchen, dining, and pantry areas at The Hope Center. Our kitchen feeds hundreds of men, women, and kids a year. Meals are served to anyone in the community who is hungry – no matter age or housing status. But because of how many people we serve, we need to improve and expand our food services area. With a brand new, up-to-date kitchen, larger dining room and more efficient pantry, we’ll be able to help make sure no one in Hagerstown and the surrounding area are ever without something to eat. Our sponsors and every person who registers to participate in our Rock the Run 5K: Pirates vs Princess will be a part of helping to feed the hungry in our community. And who says helping those in need can’t be fun? That’s why we encourage each participant to dress up and invite their family and friends to join them. We even have a 1 mile Kids Fun Run for the smaller buccaneers in your family! From our photo booth, to kids activities, themed music and more, Rock the Run 5K: Pirates vs Princess is a legitimate race for hope with a fun twist. So go ahead and mark your calendars now! Saturday, April 27th, 2019, at Fairgrounds Park in Hagerstown. For more info about our 5K please visit http://www.rocktherunhagerstown.com. So to all you scallywags out there surrounded by landlubbers, happy Talk Like a Pirate Day! And we’ll see you and your best Jack Sparrow inspired self at Rock the Run this April! It’s Time to Rock and Run! We are inching closer and closer to our 1st 5K, Rock the Run: A Race for Hope! Have you registered for the race yet? There’s still time, but don’t delay. It’ll be here before you know it. Rock the Run: A Race for Hope is a 5K race/walk at Fairgrounds Park in Hagerstown on April 25th, 2015. There will also be a kids race prior to the main event. This is a wonderful opportunity for your whole family to get involved and help reach the less fortunate. Our Rock the Run: A Race for Hope is an important opportunity for us to expose the community to the struggles of homelessness and hunger in Hagerstown. The Hope Center has been open everyday for people in need since our beginning 60 years ago. We are still dedicated, as we were at the beginning, to helping those in physical, emotional, and spiritual need in our community. Homelessness and hunger can affect anyone at any given time and it is our goal to relieve the burden and stress of the situation by not only addressing the physical needs but the spiritual ones as well. God has called us to help each other. And for 60 years we’ve been doing exactly that. We’ve seen the demographic trend change from older to younger, from alcohol to drugs, from starving singles to desperate families. God has blessed The Hope Center and we know it’s because of our great support system of friends, volunteers, and donors. Now, as we celebrate 60 years of helping people in our community, we want to take time to help make our community more aware of the reality that is homelessness and hunger in Hagerstown. And that’s why we’re doing Rock the Run: A Race for Hope. This 5K helps us raise financial support through sponsors and participants, exposes the work of The Hope Center to a new group in our community who may not totally be aware of exactly what we do, and gives everyone a chance to help those in need. In addition to the run/walk, we’re bringing our donation trucks to the race so that participants and volunteers can donate food items, toiletries, shoes, clothes, and household items. These items will be used in one way or another in our various outreach ministries. From our food bank, to our daily Soup Line, our overnight shelter, to Camp Wild, Family Assistance program, Foundations Life Recovery program, and our Thrift Stores, these donated items will help in multiple ways to provide the physical relief that so many people in our area need. So go ahead and fill out that registration for Rock the Run: A Race for Hope. You don’t have to be a seasoned runner, you can walk it. And invite your family, friends, neighbors, co-workers, Sunday School class, and more because it’s always more fun to participate in an event like this with friends. Go to http://www.rocktherunhagerstown.com to learn more and register for this event. Also, go to http://www.facebook.com/rocktherun5krace to join the community on Facebook. Spread the word and tell others to join you. This is not just an ordinary 5K. We’re coming together as a community to run homelessness out of town. And it all starts with the click of the mouse. We’ll see you on April 25th in your running shoes! You Ready to Rock the Run? It won’t be long until we host our first 5K Race/Walk in Hagerstown! Our Rock the Run: A Race for Hope will take place on Saturday, April 25th at Fairgrounds Park in Hagerstown. We are dedicated to helping our neighbors who are homeless & hungry get the shelter, food, and support they need during tough times. This race is just another way for all of our friends in the area to come together and show support and love for those who are struggling. Money raised through this race will help to fund our homeless (transient) shelter which operates every day of the year. We provide hot showers, toiletries, food, and a warm bed for thousands of homeless people each year. And we’ve been providing these same services to people since 1955 at no cost to our guests or the tax payer! Participating in this race helps to make sure that the less fortunate have a safe, comfortable and loving place to rest, relax, and refresh all in the name of Christ. You ready to help? Go to http://www.rocktherunhagerstown.com to register. And be sure to spread the word to your family, friends, coworkers, church, civic clubs, and more! We’ll also have our donation trucks available at the race if you have gently used items for our Thrift Stores and Family Assistance ministry as well as food items for our food bank. If you would like to talk to someone about Rock the Run: A Race for Hope, please call 301.739.1165.